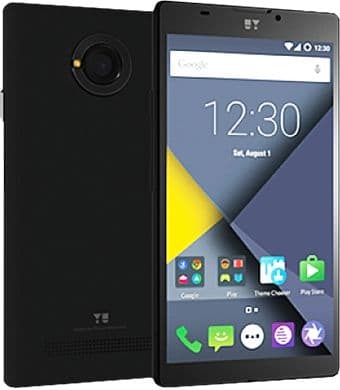 Micromax’s subsidiary, YU Televentures that specialises in Cyanogen OS smartphones has opted for a change in its portfolio with the launch of YU Yunique Android smartphone. The YU Yunique does not run Cyanogen OS but Android Lollipop 5.1 laced with Micromax’s own skin. While other YU smartphones were exclusive to Amazon India, the YU Yunique will be sold in flash sales on Snapdeal starting from 15th September. The registrations for the flash sale of YU Yunique have begun and will continue until a day before the sale. You can buy the YU Yunique for Rs. 4999 and if you want two extra back covers for the smartphone you have to shell an additional 450 bucks. So is the new entry level smartphone a worthy competitor in the market that has been flooded recently with new entrants? Let’s find out in the following paragraphs. 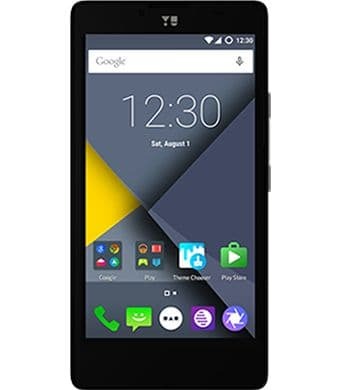 While other sub-5K offerings are packed with cheaper substandard MediaTek chipsets, the YU Yunique packs a 64 bit Snapdragon 410 chipset that houses a 1.2 GHz Quad-core ARM Cortex A53 processor, Adreno 306 GPU and 1 GB LP DDR 3 RAM that can easily run Android Lollipop 5.1. The YU Yunique is also future-proof as it supports 4G connectivity on one of its Dual-SIM slots. The 4.7 inch HD (1280x720) resolution LCD TFT display with 312ppi (above Apple’s Retina standard) is protected using Full Lamination Technology and Gorilla Glass 3. As expected the YU Yunique has an internal storage capacity of 8GB and you can expand that storage with the help of microSD cards of up to 32GB. In the photography department, we are satisfied with the 8 MP AF Single tone LED flash equipped sensor on the back and the 2MP front snapper of selfies. Both the rear and front cameras can record videos of up to 720p. YU Yunique is graced with gravity, acceleration, proximity and rotation sensors and connectivity options like microUSB, Wi-Fi, Bluetooth 4.0. The YU Yunique is powered by a non-removable 2000mAh Li-Po battery that is claimed to last for 270 hours on standby and offer up to 7 hours of talktime. The YU Yunique is sure a worthy deal for Rs. 4999 and it is backed by the somewhat trustworthy Indian brand name, Micromax. Will it manage to succeed among other entry level smartphones like the Micromax Canvas Spark, Xiaomi Redmi 2, Lenovo A6000 Plus, Lava Iris Atom 2 and the Karbonn Titanium Mach Five? We will be waiting for the September 15 to find out how many units got sold off in how many seconds. In comparison with the above mentioned handset YU Yunique seems to be the best buy!! !